I'm about to commence Arabic exams. I'm freaking out. 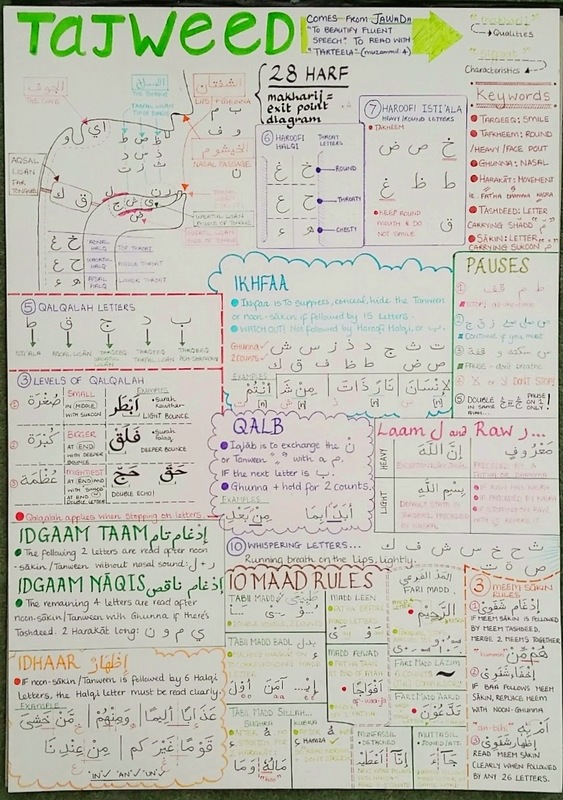 My all-in-one visual poster of almost every single Tajweed rule has become by comfort blanket. Alhamdulillah (all praise belongs to Allah). Make du`a' for me and my tribe!